If you have not heard of the Night Birds, or you only have one of their releases, this CD is a must have. It combines all of their releases for the first two years of their musical escapades. It includes their 2009 demo, the “Killer Waves” 7″ , the “Self-Titled” EP , and the very recently released “Midnight Movies” 7″. I have been rocking this CD every day in my car and it just keeps getting better and better. 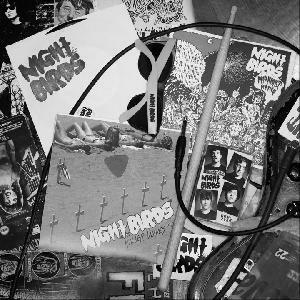 This is a great way to get into the Night Birds music without having to track down all of their releases, and you need it. This is highly recommended for fans of Adolescents, Dead Kennedys & Agent Orange to name a few. This CD is in my top 5 of 2011 so far. They have a full length coming out summer of 2011 and I for one am really looking forward to it.